Pixelated pictures are not good unless you do them on purpose like a cool pixel tattoo. We do not like them. They look bad, spoiled. We are always looking for higher and higher definition pictures. 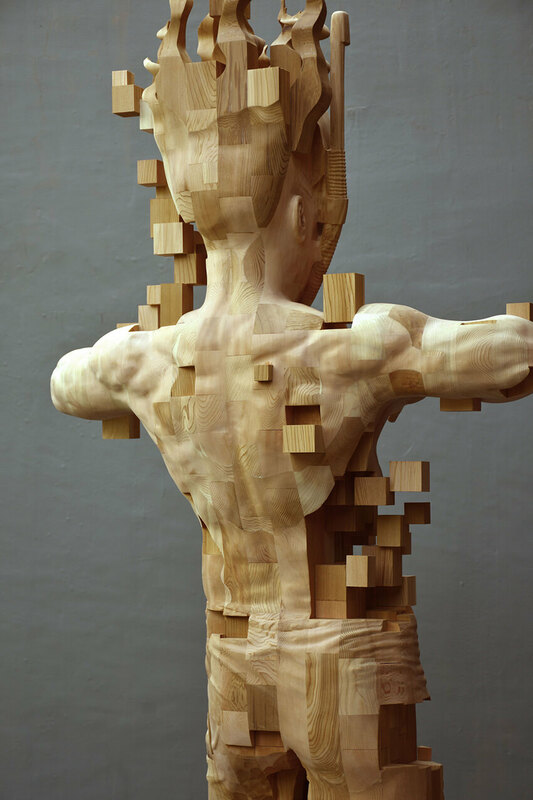 But “pixelated” might not be such a bad word when it comes to sculptures. 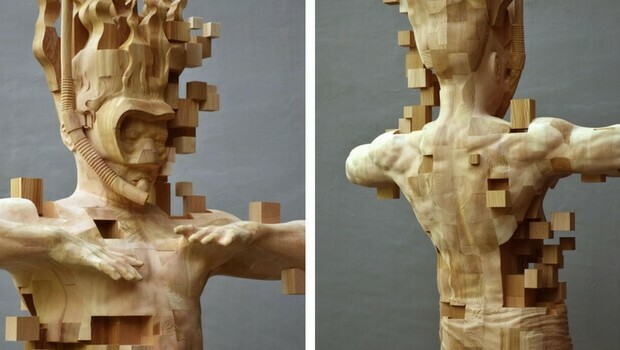 Yes, a sculpture can be pixelated too, but in a very good, artistic way. Just take a sneak peek below and see for yourself. 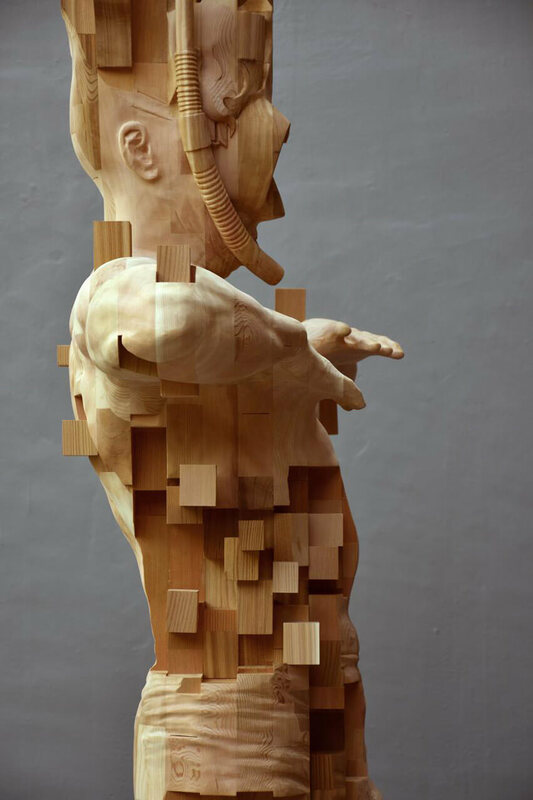 This Wooden Snorkeler sculpture is the work of Hsu Tung Han. The sculpture is 5-foot high, and looks like there are some digital glitches going on with her and that makes it fascinated. 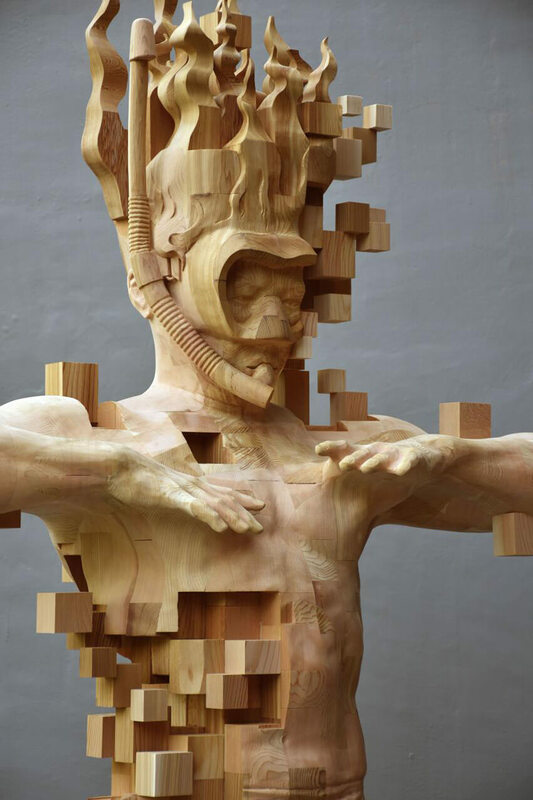 The Taiwanese artist behind this is also known for his sculpture which seem to display some technological malfunctions. Maybe he is trying to convey the message that the world is constantly changing and the technology it’s developing might have a lot of glitches? Is he trying to signal that art, also, has a series of glitches, but they’re not perilous, they are beautiful. They show beauty resided in every little mistake as it brings you faster to your better self. But enough babbling on the philosophy of art and mankind. 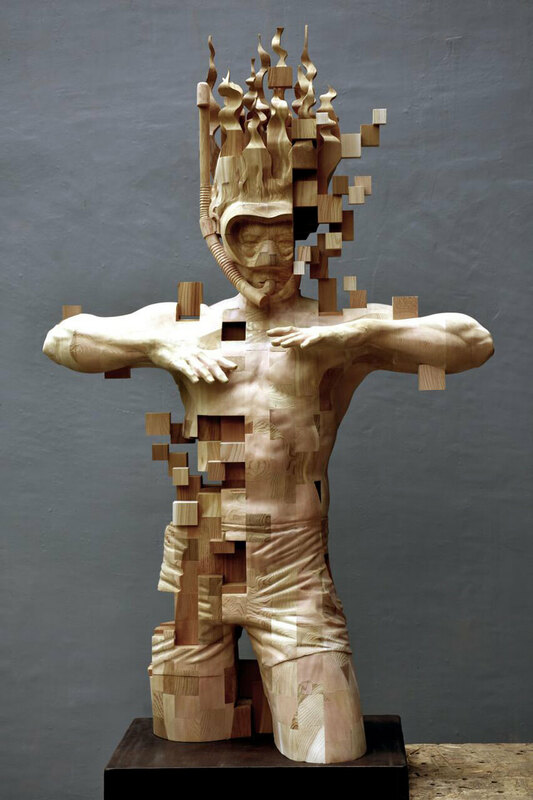 Going back to the visually stunning sculpture, we are wondering: how did he get that effect of a pixelating sculpture. 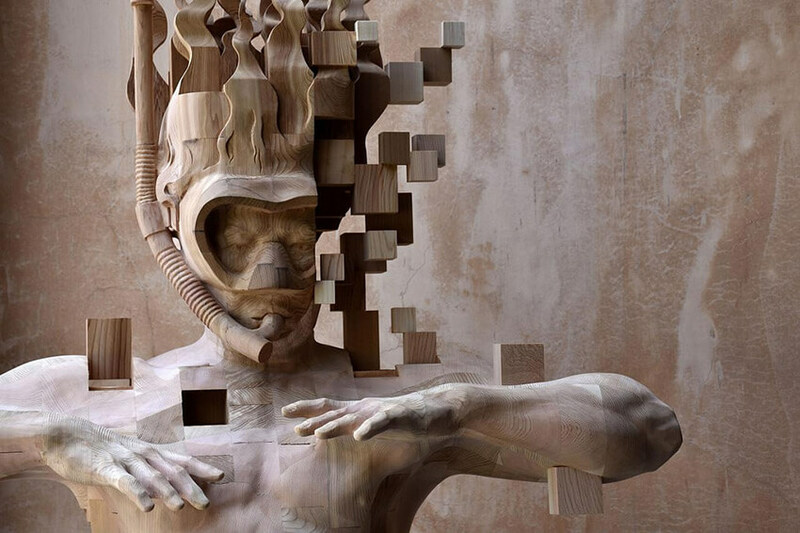 Well, apparently, he used different wood grains and different tones that enhance the depth of the sculpture and appear as if they are somehow floating outside of the body of the snorkelling man. How cool is that? We like the idea and the way it came to life and we’d like to hear what you think? Would you pay to have a pixelated sculpture in your home or you are just fed up with pixelated everything, meaning images? Just kidding, you will definitely want this work of art. It is spectacular!